Pico Boulevard is a major Los Angeles street that runs from the Pacific Ocean at Appian Way in Santa Monica to Central Avenue in Downtown Los Angeles, California, USA. It is named after Pío Pico, the last Mexican governor of Alta California, Pico runs parallel south of Olympic Boulevard and is one of the southernmost major streets leading into Downtown Los Angeles, running north of Venice Boulevard and south of Olympic Boulevard. 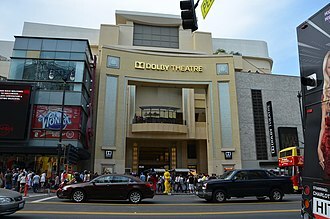 Numerically, it takes the place of 13th Street, major landmarks include Santa Monica College, Santa Monica High School, the Westside Pavilion mall, Fox Studios, the Hillcrest Country Club, the Staples Center, and the Los Angeles Convention Center. 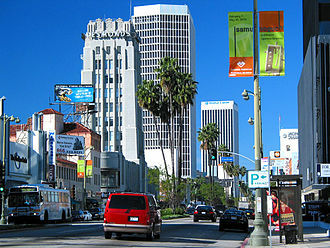 Pico Boulevard starts in the city of Santa Monica and enters the city of Los Angeles near the intersection with Centinela Avenue, the neighborhoods of Los Angeles through which Pico Boulevard travels are among the most culturally diverse in the city. 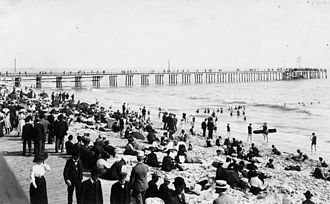 Santa Monica State Beach, California State Park operated by the City of Santa Monica and it is two miles long, has a picnic area and pier. Visitor activities include volleyball, basketball and a bicycling and running path along the beach, Casa del Mar hotel, luxury hotel at base of Pico Boulevard, Club Casa del Mar originally opened in 1926 as a beach club. The building, built in a Renaissance Revival architectural style, became a hotel, after the war, the building underwent different incarnations, among other things, a drug rehabilitation center and a Pritikin Longevity Center. 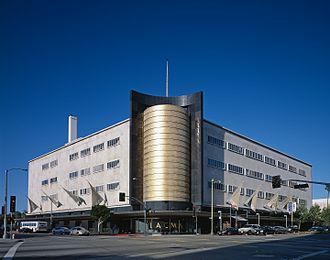 In 1998, The Edward Thomas Hospitality Corporation acquired the building, RAND Corporation Headquarters, opened in November 2004, the RAND Corporation new headquarters facility was awarded the U. S. Santa Monica Civic Auditorium,1855 Main Street,3,000 seat auditorium opened in 1958 and designed in the style by Welton Becket. 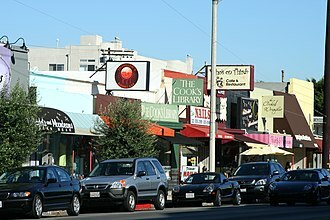 McCabes Guitar Shop, Located at 3101 Pico Blvd, since 1969, McCabes has been one of the most noted forums for folk concerts. National Academy of Recording Arts and Sciences, Formerly headquartered at 3402 Pico Blvd, the Academy is famous internationally for the Grammy Awards. 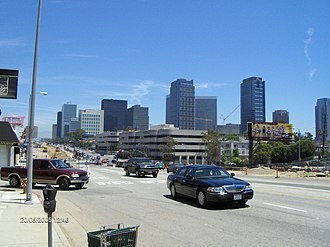 3rd Street in Los Angeles is a major east–west thoroughfare. 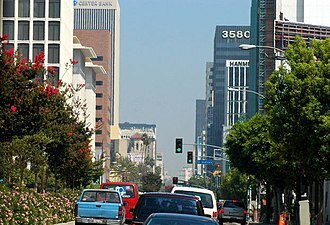 The west end is in downtown Beverly Hills by Santa Monica Boulevard, and the east is at Alameda Street in downtown Los Angeles, where it shares a one-way couplet with 4th Street. East of Alameda it becomes 4th Street, where it heads to East Los Angeles, 3rd Street eventually becomes Pomona Boulevard in Monterey Park, where it turns into Potrero Grande Drive and finally turns into Rush Street in Rosemead and ends in El Monte. 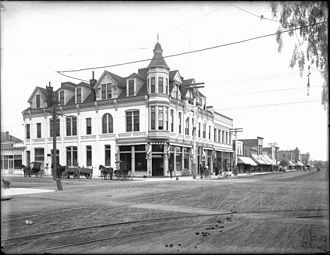 3rd Street passes along the side of The Grove and The Original Farmers Market at Fairfax Avenue, near the headquarters of The Writers Guild of America. There are other restaurants and antique stores on this specific strip of 3rd Street. 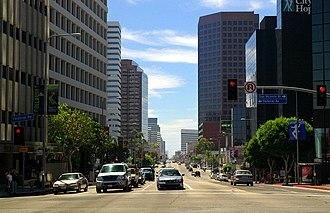 3rd Street is parallel to two major thoroughfares, Wilshire Boulevard to the south and Beverly Boulevard to the north. 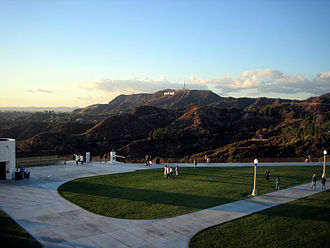 It is four lanes wide east of Doheny Drive, and it passes through the communities as Wilshire Boulevard. From east to west, Bradbury Building Million Dollar Theater St. The 1932 Summer Olympics, officially known as the Games of the X Olympiad, was a major worldwide multi-athletic event which was celebrated in 1932 in Los Angeles, United States. No other cities made a bid to host these Olympics, held during the worldwide Great Depression, many nations and athletes were unable to pay for the trip to Los Angeles. Fewer than half the participants of the 1928 Summer Olympics in Amsterdam returned to compete in 1932, even U. S. President Herbert Hoover skipped the event. The organizing committee put no record of the finances of the Games in their report, the selection process for the 1932 Summer Olympics consisted of one bid, from Los Angeles, which ultimately hosted the games. 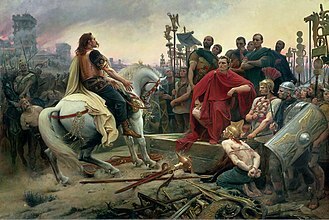 The selection was made at the 23rd IOC Session in Rome, Italy, an Olympic Village was built for the first time, in affluent Baldwin Hills, occupied by the male athletes. 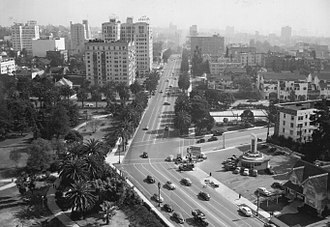 Female athletes were housed at the Chapman Park Hotel on Wilshire Boulevard, the victory podium was used for the first time. The Los Angeles Memorial Coliseum was known in 1932 as Olympic Stadium, Tenth Street, a major thoroughfare in Los Angeles, was renamed Olympic Boulevard in honor of the Games of the Tenth Olympiad. Babe Didrikson won two medals in the javelin and the hurdles event. She competed in a jump-off for a silver in the high jump and her technique in the jump-off was ruled illegal, leaving Didrikson with second place. In field hockey, only three nations took part, the host nation lost both matches, 1-24 to India and 2-9 to Japan, but still won a bronze medal. Polands Stanisława Walasiewicz won the medal in the womens 100 m. After her death in 1980, it was discovered that she was intersex, the executive council of the IAAF suspended Paavo Nurmi from international amateur athletics four months before the Games, pending an investigation into his amateur status. Less than three days before the 10,000 m, the seven members of the council formed a special commission, eddie Tolan won both the 100 m and 200 m sprint events. Samuel Sammy Lee was an American physician and diver of Korean descent. He was the first Asian American to win an Olympic gold medal for the United States, Lee was born in Fresno, California to parents of Korean descent who owned what he described as a little chop suey restaurant. He was forced to open a chop suey restaurant and market, as a twelve-year-old living near Los Angeles in 1932, Lee saw and was motivated by the many Olympics banners and souvenirs on display for the Summer Olympics being held in Los Angeles that year. Later that summer, he found that he could do much better than all of his friends. Lees parents moved to Highland Park, a neighborhood of Los Angeles, because Lee needed a place to practice and could not regularly use the public pool, his coach dug a pit in his backyard and filled it with sand. Lee practiced by jumping into the pit. D. in 1947, in 1946, he again triumphed at the 10-meter platform event while finishing third at the 3-meter springboard competition at the national diving competition in San Diego. At the 1948 Summer Olympics in London, Lee earned a medal in the 3-meter springboard. Four years later, he won the medal in the 10-meter platform competition at the Olympics in Helsinki. Lee served in the U. S. Army Medical Corps in South Korea from 1953 to 1955 and he continued to experience discrimination in life. Following Lees diving career, he helped coach two-time diving gold medalist Bob Webster, later, he coached Greg Louganis, who lived with Lees family before winning a silver medal in platform diving at at the 1976 Olympics at the age of 16. Lee coached Olympic medalist Pat McCormick, was inducted into the International Swimming Hall of Fame in 1968, Sammy Lee Square, at the corner of Olympic Boulevard and Normandie Avenue in Los Angeles Koreatown, was named after him in 2010. He was honored with a spot on the Anaheim/Orange County Walk of Stars in 2009, the Los Angeles Unified School District honored Lee by renaming Central Region Elementary School #20 as the Dr. Sammy Lee Medical and Health Sciences Magnet School in 2013. Carthay is a half-square-mile, high-income, ethnically diverse, well-educated, older-aged neighborhood in Central Los Angeles, California. The 2000 U. S. census counted 4,866 residents in the half-square-mile neighborhood—amounting to 9,642 people per mile, about an average population density for the city. In 2008 the city estimated that the population had increased to 5,120, the median age for residents was 37, older than the citys average. Carthay was said to be highly diverse compared to the city at large. The ethnic breakdown in 2000 was, whites,57. 8%, Latinos,15. 9%, blacks,12. 8%, Asians,8. 5%, and others,5. 1%. Mexico and Korea were the most common places of birth for the 25. 1% of the residents who were born abroad, the median household income in 2008 dollars was $71,398, considered to be a high figure in Los Angeles. The percentage of households earning $125,000 or more was high, the average household size of 2.1 people was low for Los Angeles. Renters occupied 64. 7% of the units, and home- or apartment owners the rest. The intercity transportation system in Los Angeles serves as a regional and international hub for passenger and freight traffic. 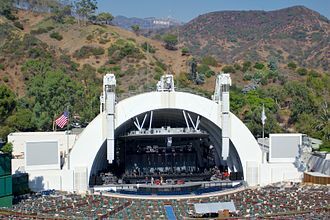 People in Los Angeles rely on cars as the dominant mode of transportation, in the Los Angeles metropolitan area there are five commercial airports and many more general-aviation airports. 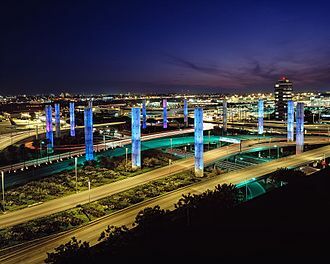 The primary Los Angeles airport is Los Angeles International Airport, other major nearby commercial airports include, LA/Ontario International Airport, Bob Hope Airport, Long Beach Airport, and John Wayne Airport. 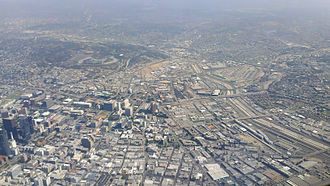 The worlds busiest general-aviation airport is located in Los Angeles. Union Station is the regional train station for Amtrak, Metrolink. The station is Amtraks fifth busiest station, having 1,464,289 Amtrak boardings and de-boardings in 2006, two of those trips continue to San Luis Obispo, California. The Coast Starlight provides additional service on the route and beyond to the San Francisco Bay Area, Amtrak motor coaches connect from Los Angeles to the San Joaquin Route in Bakersfield with frequent service through the Central Valley of California to Sacramento and Oakland. There is service to Chicago, Illinois on the Southwest Chief. The Texas Eagle is a train to Chicago, which operates thrice weekly. Sunset Limited and Texas Eagle trains operate on the track between Los Angeles and San Antonio, Texas before splitting off towards their respective destinations. Amtrak Pacific Surfliner trains stop at several locations in Los Angeles County, Glendale, Bob Hope Airport in Burbank, due to the large volumes of import freight that flows into the citys port complex, Los Angeles is a major freight railroad hub. Freight is hauled by Union Pacific Railroad and BNSF Railway, the now-defunct Southern Pacific Railroad once served the Los Angeles area before merging with Union Pacific. The Alameda Corridor, a rail corridor connects the port to the citys main rail yards and to points further north. The major highway routes providing intercity connections are Interstate 5, U. S. Route 101, Megabus, BoltBus and various smaller bus lines provide intercity bus services. Megabus and Boltbus departs from Union Station and directly connects Los Angeles to San Francsico, greyhound connects smaller communities and departs from various locations within metro Los Angeles. It is entirely located in the southern portion of the U. S. State of California. Its land area is 4,850 sq. 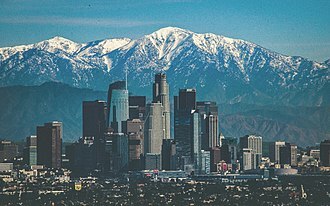 mi, the combined Los Angeles metropolitan area is home to 18.2 million people, making it the most populous metropolitan area in the western United States and the largest in area in the United States. The metro area has at its core the Los Angeles-Long Beach-Anaheim corridor and this includes the three additional counties of Ventura and San Bernardino. The total land area of the statistical area is 33,955 sq. mi. The counties and county groupings comprising the Los Angeles Metropolitan Area are listed below with 2012 U. S. Bureau of the Census estimates of their populations, the combined statistical area is a multicore metropolitan region containing several urban areas. 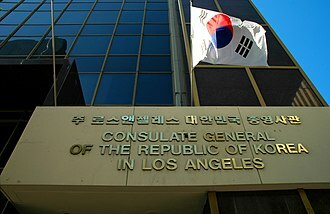 The following is a list of cities with populations over 50,000 in the Los Angeles metropolitan area with 2011 United States Census Bureau estimates of their population, korean Airs US passenger and cargo operations headquarters are located in two separate offices in Los Angeles. Entertainment and media giant The Walt Disney Company is headquartered in nearby Burbank, the Southland CSA is third largest economic center in the world, after the Greater Tokyo Area and the New York-Newark-Bridgeport CSA. The Port of Los Angeles occupies 7,500 acres of land, the Port is the busiest port in the United States by container volume, the 8th busiest container port in the world. The top trading partners in 2004 were, Japan, Thailand and it adjoins the separate Port of Los Angeles. Acting as a gateway for U. S. -Asian trade. The seaport boasts approximately $100 billion in trade and provides more than 316,000 jobs in Southern California, the Port of Long Beach import and export more than $100 billion worth of goods every year. The seaport provides the country with jobs, generates tax revenue, Long Beach-Los Angeles- Anaheim The Long Beach Los Angeles Anaheim metropolitan statistical area is located in the southern part of California. In 2014, the metro area’s population reached 13,262,220, in 2014, Los Angeles-Long Beach-Anaheim had a per capita personal income of $50,751 and ranked 29th in the country. Boyle Heights is a working-class, predominantly Mexican American, youthful neighborhood of almost 100,000 residents east of Downtown Los Angeles in the City of Los Angeles, California. The district has more than twenty schools, and ten private schools. 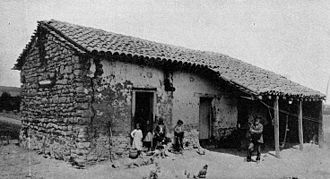 Boyle Heights was called Paredon Blanco when California was part of Mexico, the median household income was $33,235, low in comparison to the rest of the city. The neighborhoods population was one of the youngest in the city. As of 2011, 95% of the community was Hispanic and Latino, the community had Mexican Americans, Mexican immigrants, and Central American ethnic residents. Hector Tobar of the Los Angeles Times said, The diversity that exists in Boyle Heights today is exclusively Latino, the United States Postal Services Boyle Heights Post Office is located at 2016 East 1st Street. 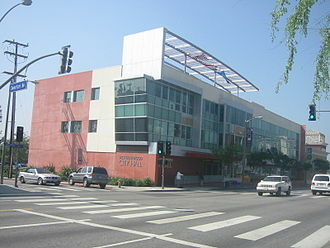 The Social Security Administration is located at 215 North Soto Street Los Angeles, the emergence of Latino politics in Boyle Heights influenced the diversity in the community. The rise of the socialist and communist parties increased the involvement in politics in the community because the “liberal-left exercised great influence in the immigrant community”. Even with a diversity in Boyle Heights, “Jews remained culturally and politically dominant after World War II”. 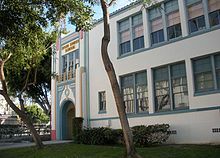 The combination of Jewish people and Latinos in Boyle Heights symbolized a tight unity between the two communities, the two races helped each other in order to elect Roybal into city council against his opponent Councilman Christensen, with the help from the Community Service Organization. When Edward Roybal had just started as the city of Los Angeles’ new city councilman in 1949, the Community Service Organization helped Roybal win the election and to increase the multi-racial involvement in Boyle Heights. 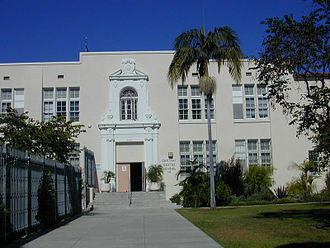 Therefore, Roybal’s involvement in City Council affected how Latino politics went further on during Bradley’s term and this center will be forever known as the building place where coalition politics took place in Boyle Heights, along with the Catholic Dolores Mission center. Rapid 7 on layover (bus 4022 retired). A Big Blue Bus in Westwood. LAX, the fourth busiest airport in the world.